A little more than five weeks after his disastrous Enduro crash Valentino Rossi trained for the first time on his MotoRanch. 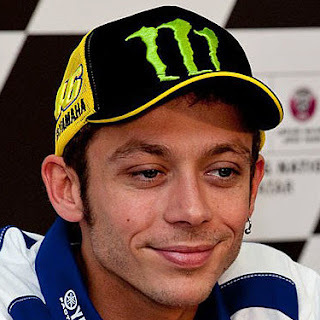 Twice this year the nine-time world champion Valentino Rossi was injured in front of a motorcycle GP during training. Before Mugello, he suffered injuries in the stomach area during motocross driving. And on August 31, he crashed with a lower leg against a stone during the Enduro-training, he suffered a fracture of the right rail and calf. Nevertheless, the Movistar-Yamaha factory plotted 24 days later in Aragón on the great third place. At that time, Rossi wondered whether he should be able to do without risky motorcycle training during the season. 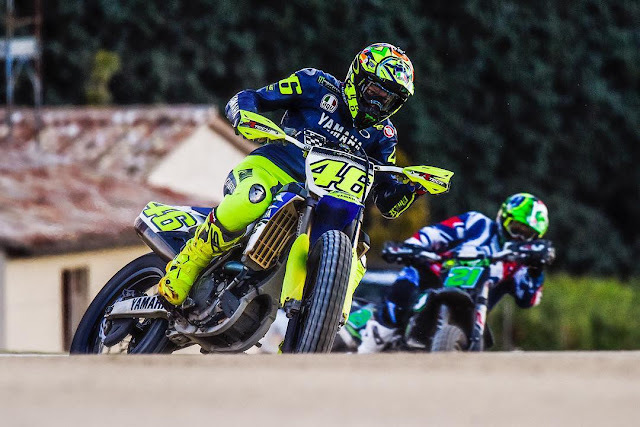 But the 115-times GP winner does not want to miss the dirt track driving on his MotoRanch in Tavullia. "I'm very, very happy to be back on the MotoRanch," the 38-year-old superstar postponed. "The lower leg still hurts a bit. But driving is already great fun. " As a prominent sparring partner, Franco Morbidelli, the Moto2 World Cup leader, was at the disposal. Rossi travels to Japan on Tuesday, where the first of the three overseas stations (followed by Australia and Malaysia) will be staged next weekend. In the World Cup, Rossi is only fifth with 168 points. 1. Márquez score of 224 points. 2. Dovizioso 208. 3. Viñales 196. 4. Pedrosa 170. 5. Rossi 168. 6. Zarco 117. 7. Lorenzo 106. 8. Petrucci 95. 9. Crutchlow 92. 10. Followers 84.